I Twitter. I admit it. But I follow more than I actually tweet. For those of you who have not been exposed to Twitter it is called a microblogging service. You can post up to 140 characters. You can follow other people who twitter so whenever they update their status you will see the post on your twitter homepage. You can also set up your account so that you can update your status from your cell phone and you can also get updates from others you follow on your cell phone. Useful and kind of fun but it just seems like one more thing to check and update online. I don’t know about you, but my email/facebook/twitter/rss reader gets out of hand rapidly. I recently found something to follow that gave me a glimpse of a different way to use Twitter. Here is a link to the original site and if you twitter you can choose to follow. It’s a fascinating account of life in a bygone era, a time when my family’s only connections to the world were schoolhouse chatter and a neighbor’s radio. Looking at the terse journal, my sister quipped, “This is the Twitter of the 1930s.” We glanced at each other and almost immediately began planning the Twitter account that would become Twitter.com/Genny_Spencer. If you have run across any other diaries of this sort I would love to hear about it. I can see this being a great creative venue as well. Could a “diary” be created as a sort of stream of thoughts of a made of character? If you are not into writing longer blog posts this might be a blogging outlet for you. Have you run across creative uses for Twitter? Can you come up with some new Twitter ideas? This entry was posted in Blogging, technology, Web 2.0 on March 14, 2009 by Dee. 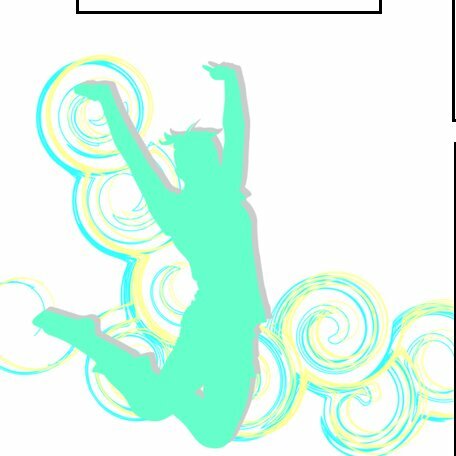 Create headers across the top – you can format the text and background color if you like. At the bottom of the screen you will see a tab for the sheet you are working on.. If you click it you have several editing choices, including delete, duplicate, rename, and move right or left. For now you might want to rename it work. Now click again and duplicate it (I did this twice) You now have three sheets with the same headers and you can now click on and rename the other two sheets. I have named my sheets Work, Home, Ideas. You could just enter information directly into the spreadsheet but with Google Docs you can create a form that will make it easier to quickly enter data and have it automatically update in the spreadsheet. Click on the tab for one of the sheets so you will have that sheet open. A new page will open with your form already created according to the column headers you used in your spreadsheet. As you move your mouse cursor over each field in your form you will see that you can edit that individual field, you can move it, you can even add or delete questions. Just remember that what you do on the form will be reflected on the spreadsheet. If you delete a field it will no longer exist on the spreadsheet either. A good rule of thumb is that the form is “the boss” of the spreadsheet. Now choose “next choose recipients” You can put in your own email address and if you look on the right you will see a note saying that if you have trouble viewing or submitting this form, you can fill it out online and there will be a link. This is the link you want to save as a shortcut on your desktop. You can change the name of the link to make it easier to find. On a PC you will right click on the shortcut and choose rename. If you use something like @Home the @ sign will cause it to be near the top if you arrange you icons in alphabetical order. On a Mac you will control-click the shortcut and choose info. There will be a field where you can change the name. This would work for a student organizer – just change the column headings to something like assignment, due date, teacher/professor, class period, notes/resources. A couple of modifications and you can share and collaborate so now you have an online project management system. You can also click publish – this gives you an embeddable link and an RSS feed so you can subscribe to your own list. Choose more publishing options and click in the drop down box and choose HTML to embed in a webpage. You can also choose which sheets and even which cells to show. The will generate some HTML that you can paste into your blog. Pay attention to the sizes shown in the HTML. If you paste it and find it is bigger than the space provided in the webpage you can usually adjust those numbers to make it fit. I have only included a form that adds information to one sheet. Addendum: I cannot get the embedded form to work. I can use the form I created from my desktop or via my email so for the time being look at the above images as screenshots and don’t be afraid to follow the steps to create one to play with yourself. This entry was posted in Application, Google, The Teachers, Web, Web 2.0, Work on July 18, 2008 by Dee. I will go play this evening and post about it tomorrow! 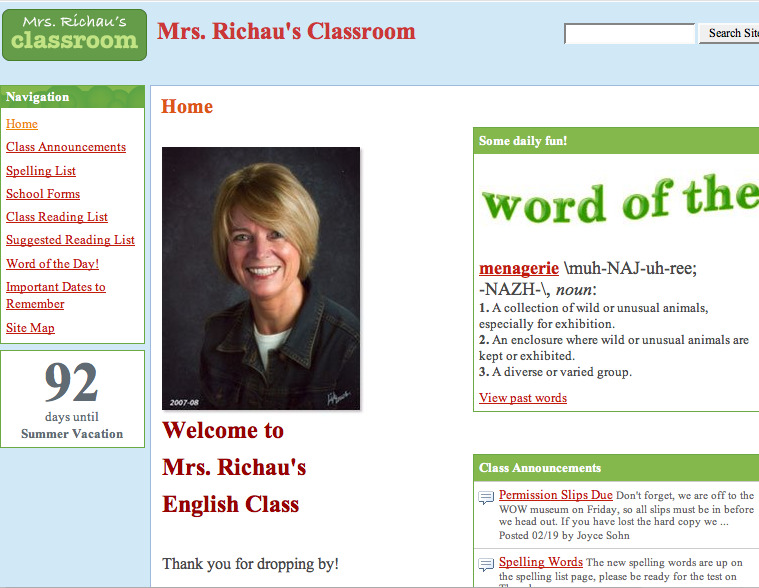 Below is an example of a classroom page created in Google sites. You can customize, use their templates, upload up to 10 mb files with 10 gb of storage. Since Google sites is integrated with other google products you can embed slideshows, video, spreadsheets and calendars into you page. One more piece of the Google World Dominance plan! This entry was posted in Application, Google, technology, Web 2.0 on February 28, 2008 by Dee. I didn’t get to attend this presentation – it was one of those time-slots when I needed a few clones to attend several sessions at the same time. Through the magic of technology I can still hear and “see” the presentation! After “attending” online I am very excited about the real event! This entry was posted in TCEA, TCEA08, The Teachers, Web 2.0 on February 17, 2008 by Dee. This post has two purposes. I am trying out a plugin that lets me finally embed youtube videos here. I also want to share this video as a great idea for a class project. It could be themed according to any subject and filmed in pieces at different times and then put together later. If you do a YouTube search on Three Words you will find many versions and each as some very creative and powerful segments. thanks to Mark Ghosh for the embedify plugin that allowed me to finally embed the video!! This entry was posted in Application, Blogging, technology, The Teachers, Web 2.0, WordPress on February 17, 2008 by Dee. If you go to TCEA 2008 and click on Sessions and Workshops, list free sessions you will see the entire list and the session I attend will have the session number in the post as well. You will be able to look for handouts there in a few weeks. I like Patrick Crispen’s presenting style. He starts on time, tells you what he will cover, moves through the presentation like an east Texas wind. Before you know it he is saying we have to hurry because there are only three minutes left, ties is all up and sends you out as the next group comes in. He must have an incredible amount of energy or sleep for a week after a conference like this. His website is NetSquirrel and if you go there and click on PowerPoint Presentations on the side you will have access to all his handouts. They are licensed under Creative Commons (he was the first person I heard even mention Creative Commons yesterday) so you are free to download his material. The presentation for this session will be udated in a few days. This morning I found a new little snippet in my reader about Google docs – they have added a new little tool. When you share a spreadsheet you now have three choices – collaborator, viewer, and now “to fill out a form”. You can create a form in Google spreadsheets, share it with people and as they respond to the form, the data is automatically added to your spreadsheet. This entry was posted in Application, Google, TCEA, TCEA08, The Teachers, Web, Web 2.0 on February 7, 2008 by Dee. I love Google Earth – to me it has this magic carpet feel to it. I can visit anywhere on earth in moments and often when I get there I will find that someone has taken photos of interesting sites there or I can add overlays that tell me everything there is to know about the area. I’m a Google fan anyway. Right now a friend of mine and I are making some slides for a praise service using Google docs. I type or copy and paste lyrics onto slides and then “share” with him (which sends him an email with a click-able link to the presentation) which he then adds a background to and maybe tweaks the text a bit. When he is through he shares it back with me. We can work on it at different times, in different places and even add collaborators if we want. The slides can be downloaded and used in Powerpoint, Keynote, OpenOffice Impress, and even SlideShare. This morning I read how several teachers are using it and was once again reminded of how creative and resourceful teachers are. Langwitches have started a Teachable Moments Shoutout Twitter account that you can that you can subscribe to and if you have a Twitter account you can join in. You can help other teachers with teachable moment ideas or get help yourself. If you are not familiar with Twitter, this does not mean a huge lesson plan with rubrics and worksheets – these are short messages. You can even subscribe via cell phone and get “tweets” as text messages. If you are curious you can find out more on the Twitter FAQ page or the Twitter Lingo/Help page. This Shoutout idea was inspired by Tom Barrett and his use of Google Earth and Twitter. Tom got his Twitter network people to participate in his students’ Google Earth lesson. The students had to find these people based on a few clues on Twitter. I asked my network to challenge the children to find them in Google Earth, to search and discover their location from a few scraps of info via Twitter. Well the challenges rolled in and in a couple of hours we had 25 different people to track down. Some of the Tweets were longitude and latitude. Others were addresses or well-known geographical sites. As the students found the locations the sent back messages via twitter to let them know they had been found. The students got experience searching and using the different layers and even the three-D buildings feature. Because they had a real purpose the focus of the class became finding real people in real places and the technology became the tool instead of the lesson. When I was in elementary school I had a Japanese PenPal. That was our Web 2.0. This entry was posted in Application, Blogging, technology, The Teachers, Web, Web 2.0, Work on January 20, 2008 by Dee. 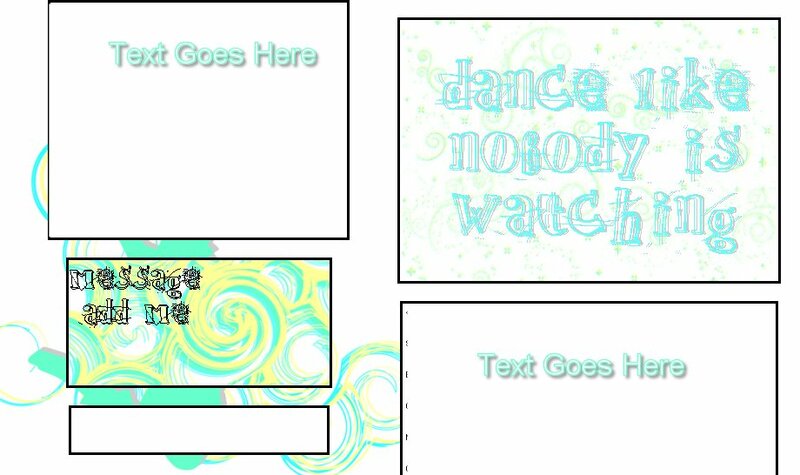 My daughter has been learning Photoshop and has been playing with creating MySpace layouts. I like what she has done so far and thought I would post an example here. These are screenshots. She hasn’t learned the preview trick yet. If you would like to try it out here is the text file containing the code to copy into your profile. Give us a comment if you like it or have a problem – we’d love to hear from you. This entry was posted in Personal, Web 2.0 on December 31, 2007 by Dee. We have some students who are blogging and I have started visiting their blogs to leave comments and encourage them. This is so exciting to see! I know that this is not a new thing in some districts but for us it is brand new and I feel like I have had a tiny bit of influence here. I don’t teach these students – I’m not even on the same campus. I was one of the first bloggers in our district and I have been an advocate so I feel a little like a proud mama or at least great aunt. I hope they find a new way to express themselves, a new way to communicate with each other, and new ways to find the common ground that connects us to each other as members of the human race. Then again, maybe all that will happen is their grammar and spelling will improve because they realize other people are reading what they write. I’m betting on the former. This entry was posted in Blogging, technology, The Teachers, Web, Web 2.0, WordPress, Work on November 14, 2007 by Dee.